A Literary Odyssey: Upcoming Reading Events. Just yesterday I was thinking how fun it would be to cook a kidney for breakfast on Saturday. 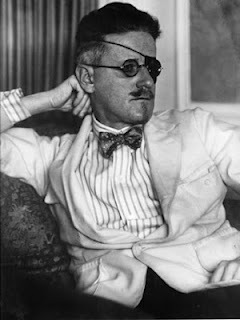 Oooooh - I am signing up for that Joyce madness, what fun!! Okay, Allie - this makes me a little angry. To think that it's possible to physically read Ulysses in 24-hours is crazy but, even if it IS done, what about comprehension? It's one of the most difficult books in the English language... what in the world do people expect to get out of it, if it's just skimmed/blazed through in one day? I might go on a rant... but I'll take that to my own blog. Just know I'm very GRRR about this idea! (A read-along of Ulysses in general, though, would be great - because it's one I tried and failed at, too). Wow! I could not imagine reading Ulysses in only a 24-hour period. If I had read it once before, I would jump in. I may start it with the group though. Best of luck and enjoy! Girl you are cray-cray. :) But I love hearing about all of your endeavors. Keep it up. And continue posting about these great little readalongs. I might--big might--pick up Ulysses from the library and try just a teeny bit on the 16th. But there's no way I'm even attempting the whole thing right now! Good luck with it!